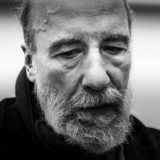 Few authors have explored the nexus of art and activism with the expressive skill, international reach, and creativity of Raúl Zurita. After his imprisonment by the Pinochet regime in 1973, this legendary poet of resistance chronicled atrocities committed against the Chilean people, including attacks on their language. Zurita’s works have been published in translation around the world and shared via public art displays; his verses have been skywritten above New York City, etched into the Atacama Desert, and carved into Chilean cliff-faces. His many honors include the Chilean National Prize for Literature, a Guggenheim Foundation scholarship, and the Asan World Prize for poetry. In this presentation, Zurita will read from his poetry collection INRI and other works, followed by a conversation with poet Norma Cole and poet/translator William Rowe. William Rowe’s Collected Poems was published in 2016 by Crater Press. He has translated a number of Latin American poets including Rodolfo Hinostroza, Juan L. Ortiz, Hugo Gola, Magdalena Chocano, Néstor Perlongher, and Mario Montalbetti. 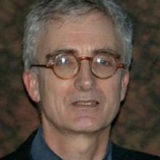 Three Lyric Poets, his study of Lee Harwood, Chris Torrance, and Barry MacSweeney, was published in 2009. 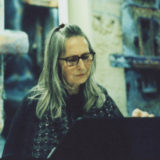 Norma Cole is a poet, painter, and translator. Her most recent books of poetry include Fate News, Actualities, Where Shadows Will, and Win These Posters and Other Unrelated Prizes Inside. Her translations from French include Danielle Collobert’s It Then, the anthology Crosscut Universe: Writing on Writing from France, and Jean Daive’s White Decimal. She lives and works in San Francisco.